Pie for Breakfast: New at Blue Fern! 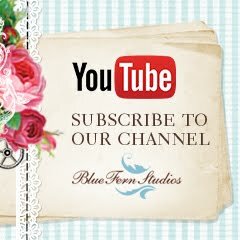 It has been a great start to 2016 at Blue Fern Studios. All the designers have posted their first projects of the new year, and I can't tell you how awesome it has been to see how they combine their style with products from Blue Fern. 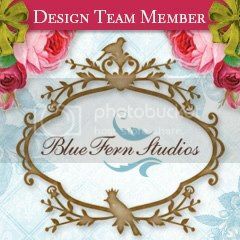 If you haven't visited the Blue Fern Blog in a while, you have missed some gorgeous designs. 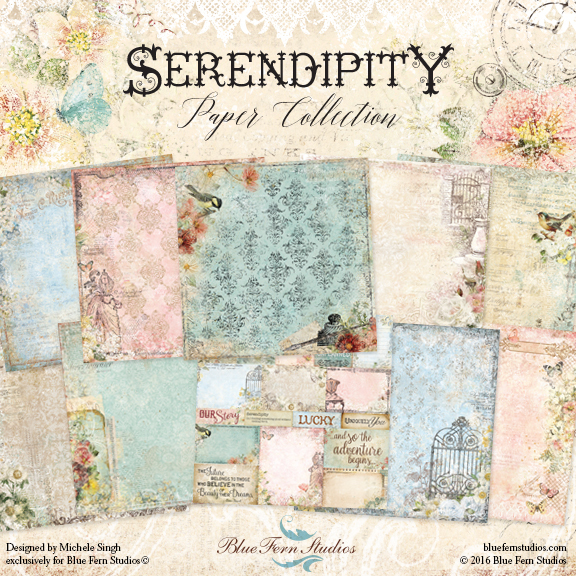 The just released paper collection is Serendipity. 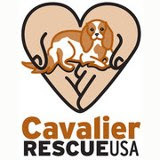 It has been designed by the very talented Michele Singh. I cannot wait to get my hands on this paper! The colors and designs are so beautiful! You can see many more images of this collection (including chipboard, stamps, embossing powder, and glitter) HERE on the Blue Fern blog. It's Sketch Time at Blue Fern Studios!